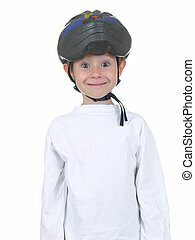 Studio shot of boy in bicycle helmets. 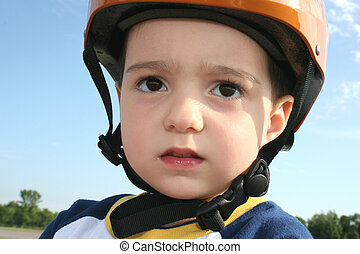 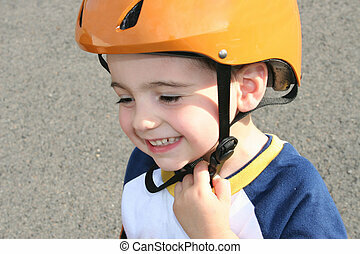 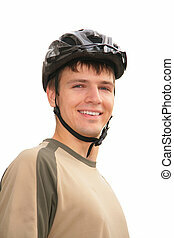 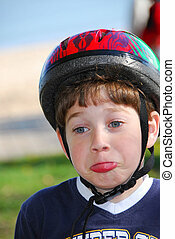 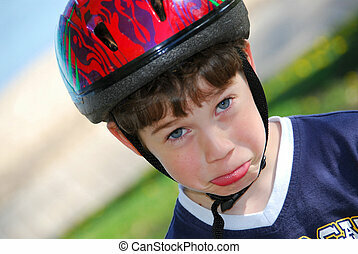 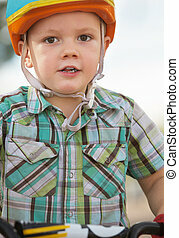 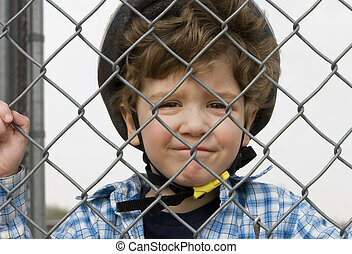 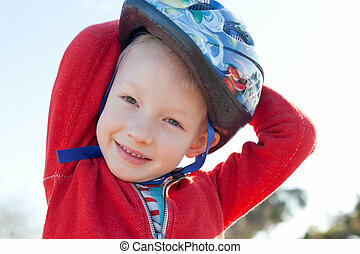 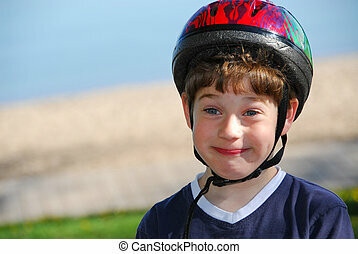 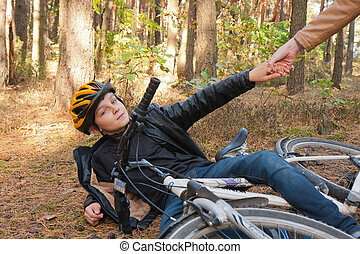 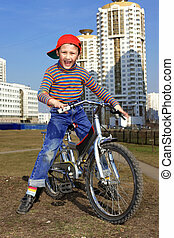 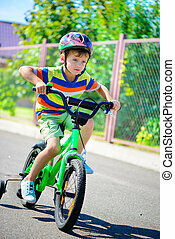 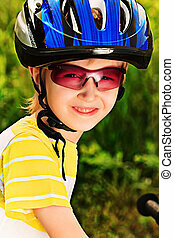 Three year old boy in bicycle helmet. 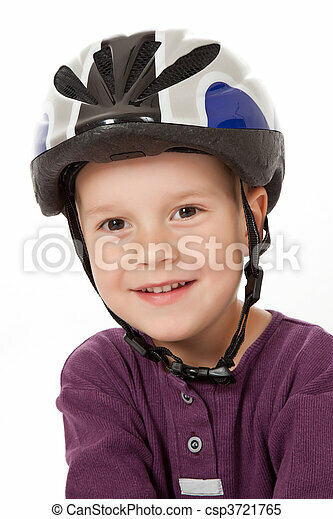 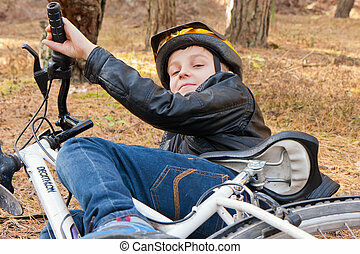 Portrait of a cute boy with a bicycle outdoors.